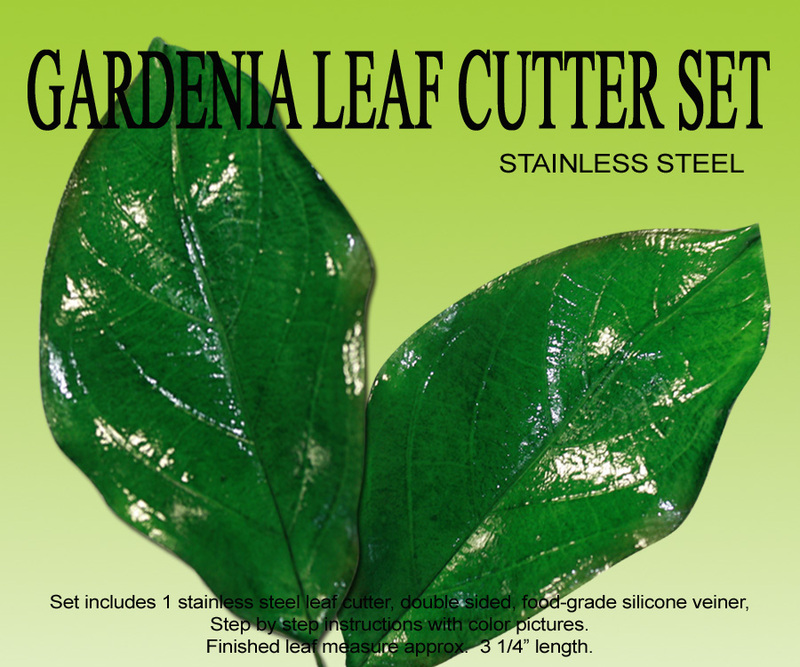 Set includes 1 stainless steel leaf cutter and a pair of double sided, food grade, silicone veiners. Use for gum paste or air-dry clay and cold porcelain. Step-by-step instruction with color pictures included. 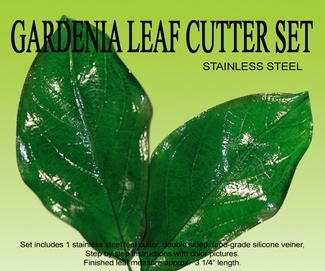 Use to make leaves for Gardenias, Magnolias and just about any fruit leaf. Finished leaf measures approximately 3" length.